The Brighton Art Fair held its Private View this evening and opens the doors again on the 23rd, 24th and 25th of September. Nicholas Toovey had his usual snoop around the show viewing the contemporary art on offer. Familiar faces from the Contemporary Art Auctions were present and offered some of the highlights of the show. Dan Bennett was showing his amazing work inspired by phosphenes – the intricate swirling patterns that form before the inner eye. Natalie Martin had two wonderful depictions of the West Pier, Brighton on display, whilst Sheila Marlborough’s bright and vivid landscapes leapt from the white background of her stand. It is always a pleasure to have a chat with Eve Shepherd especially when you can admire her fascinating bronze ‘Broken’ in the process. It was also nice to see some ceramics on display, with Contemporary Art Auction regular Claire Palastanga having arguably the most subtle but eye-catching display in the Corn Exchange. A heart-shaped dish similar to the one pictured was truly beautiful in the flesh – unsurprisingly she had already made her first sale by the time Nicholas got to say hello. 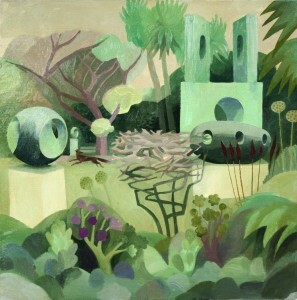 Sarah Young, Bill Phillip and Frances Doherty made up the other exhibitors that can regularly be found at Toovey’s Contemporary Art Auctions. 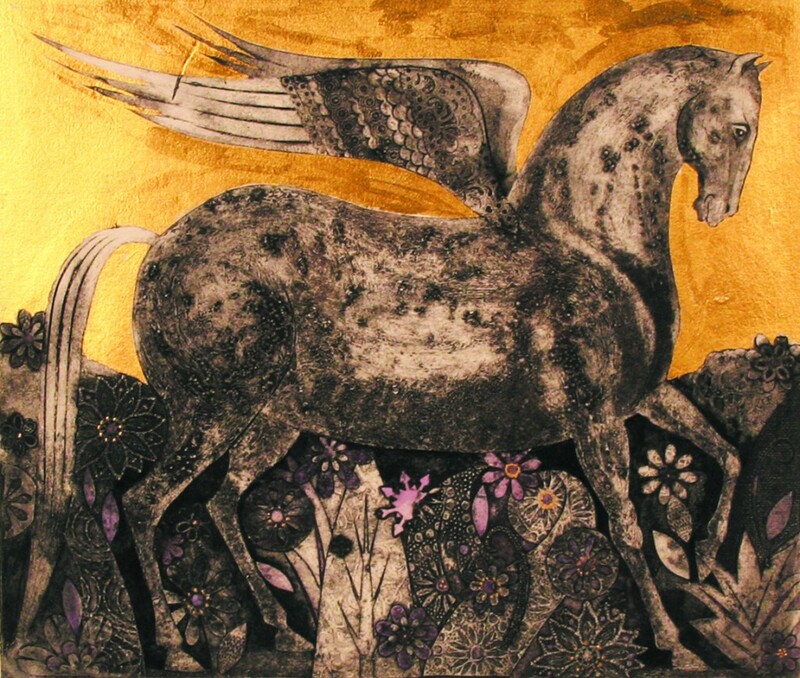 Other artists that have not participated in the auction before, included Christine Tongue, Claire Bibaud and Gillian Bates, whilst the two printmakers Janet Brooke and Flora McLachlan are well worth seeking out at the 93 stand art fair. For more information visit www.brightonartfair.co.uk. Born in Surrey, Sarah’s mother was a fashion designer during the 1950s, her father was a sculptor and art teacher at the Reigate School of Art and Design. As a child she recalls that she was always very interested in the Illustration Diploma Shows at her father’s school. Her creative parents did not dictate her career path, but they did allow her the freedom to pursue an occupation of her choice. She chose to attend a two year foundation course at Reigate, after which she moved to Brighton and obtained a degree in illustration at the College of Art, under the tutorage of Raymond Briggs. Sarah cannot recall ever making a conscious decision to become an artist and illustrator; she purely followed a path that she felt was best suited to her own personal skills and interests. She can however remember writing and illustrating books as a child for her younger sister, perhaps this is when her decision was subconsciously made. 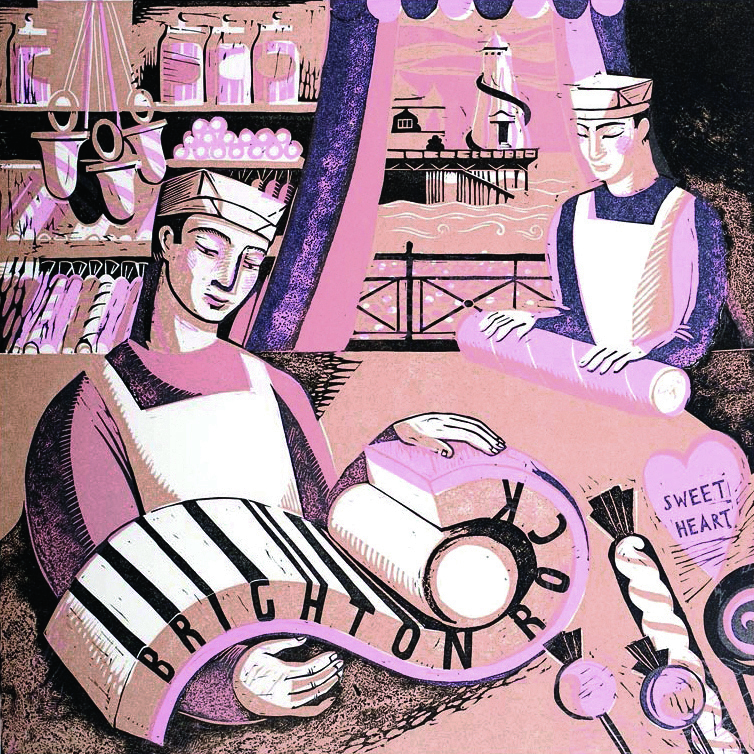 Whilst studying in Brighton she fell in love with the town, particularly the ‘Old Brighton’. She decided to stay, in part due to convenience and in part because ‘it just felt like home’. Sarah did not work as an illustrator immediately, so to help pay the bills, she occasionally took to the streets busking by drawing on pavements. She enjoyed the freedom but felt there must be a more interesting and creative way of making a living whilst retaining some of that sense of liberty. She decided to make a travelling puppet theatre with Jon Tutton. They toured pub gardens, tea rooms, parks and museums with their theatre that was meant equally for children and adults. Sarah built up her portfolio of illustration work whilst also creating jewellery, toys and prints with the same techniques used making the puppet theatre. This creation of a spiralling miscellany of objects has remained with her throughout her career. 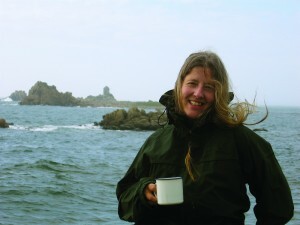 Today, Sarah works from her home by the sea. 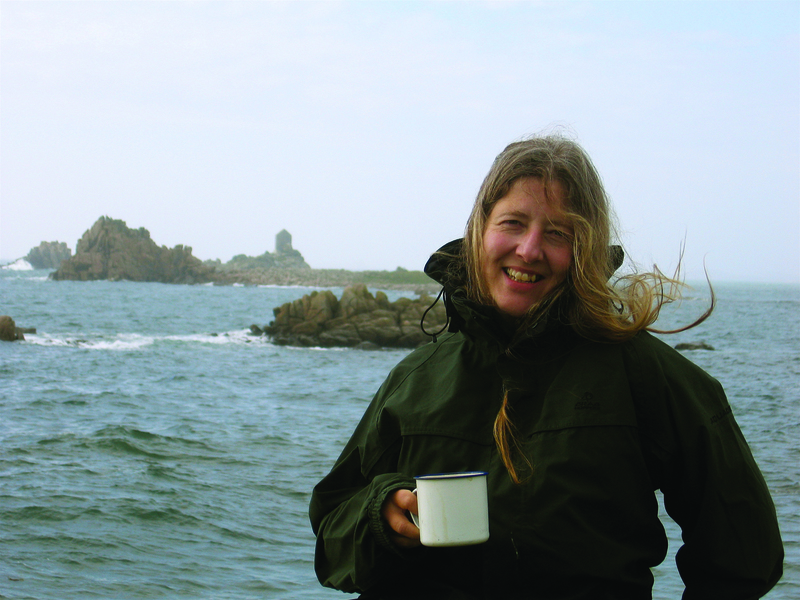 As an illustrator she has worked for an array of famous publishers, including Harper Collins and Dorling Kindersley. She has illustrated ‘20 Sussex Gardeners’, ‘20 Sussex Gardens’ and ‘20 Sussex Churches’ for the Snake River Press and has contributed to the artistic journal ‘Nobrow’. 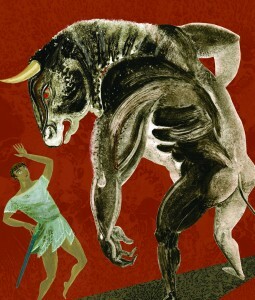 In 2010, she illustrated ‘Greek Myths’ by Ann Turnbull published by Walker Books. A work perfectly suited to her subject matter which often incorporates folklore and mythology, the book is her tour de force as an illustrator to date. 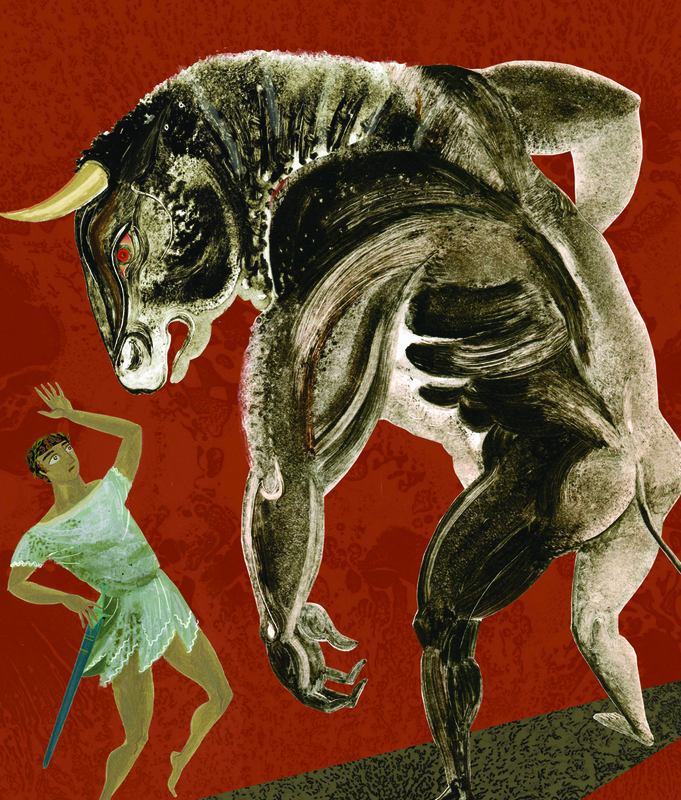 This year her book cover artwork for ‘Ariel’ by Sylvia Plath was shortlisted for the V & A Illustration Award. 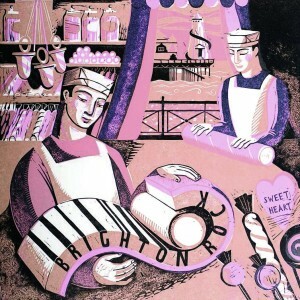 As an artist, Sarah uses a variety of different techniques to create her prints which are hand-pulled at the Ink Spot Press, Brighton. 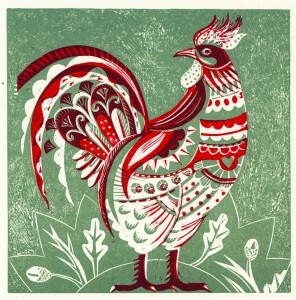 She creates relief prints cut from vinyl, lino and wood, in addition to silkscreens, etchings and collagraphs (a print made from a collage), often incorporating many different methods in a single print. Four years ago she started painting original works in unison with her prints and illustrative work. She has also recently created mixed media dolls and a range of four tea-towels that can be turned into soft toys or doorstops. Sarah has always loved sculpture and is constantly drawn towards three-dimensional qualities, even within her two-dimensional work. Does Sussex inspire her? 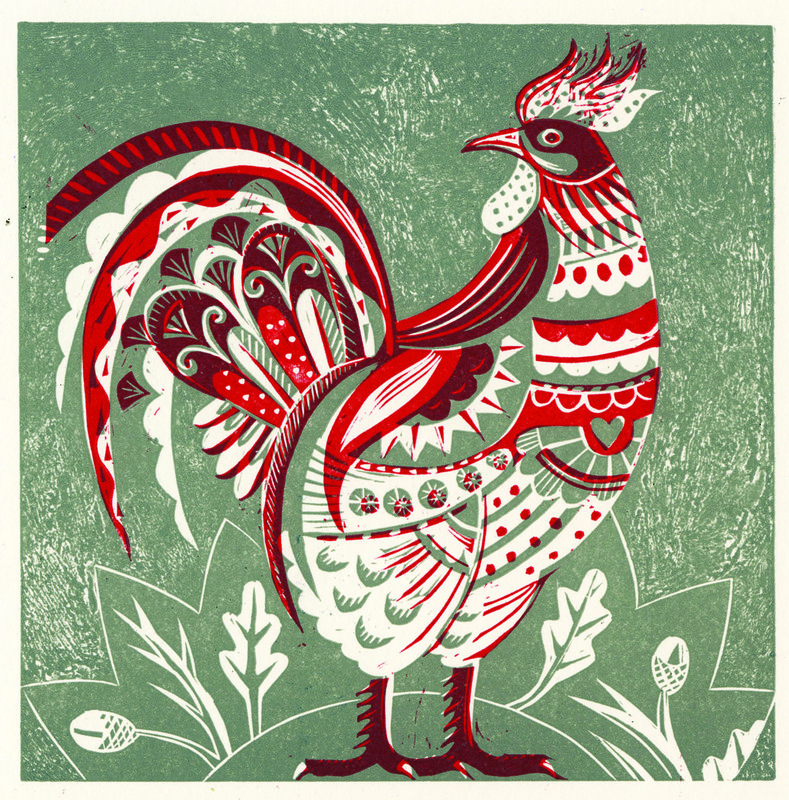 Without question, she would like to do more prints based around Sussex, both landscape and folklore inspired to add to her existing selection of Brighton. Sarah’s next project is a series of prints inspired by pub names for the Penfold Press. 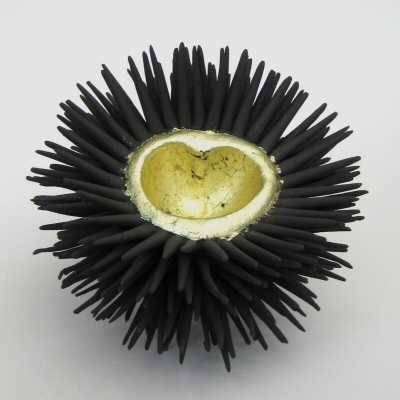 She also plans ‘one day very soon’ to wire in the kiln she bought several years ago and start making ceramic sculpture. 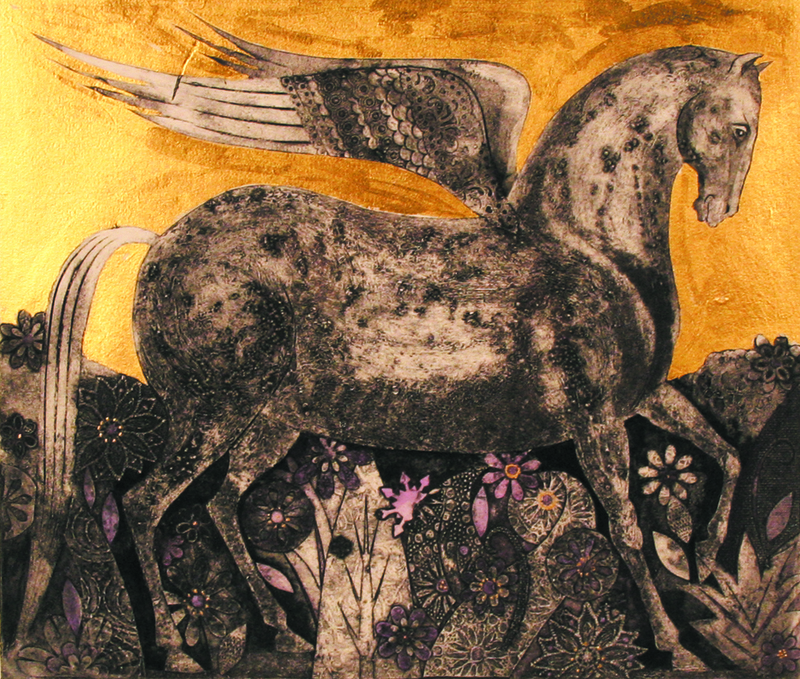 Sarah’s work can often be found at Emma Mason Gallery, Eastbourne, Castor & Pollux, Brighton, and at the bookshop in Pallant House, Chichester. On Friday 23rd, Saturday 24th and Sunday 25th September, Sarah will be joining over 100 other artists at the annual Brighton Art Fair in the Corn Exchange, Brighton. As the only major contemporary art fair in the South-East it offers a fantastic opportunity to meet and buy affordable original art direct from the artists. Many people might think that she flits between projects, but for Sarah this is the stimulus for her creativity, with each different venture influencing another. It is this multifaceted approach that makes Sarah’s work interesting, allowing her the freedom to keep her mind and work fresh and exciting. The overall output is united by her personal expression, creating her familiar, signature style. Nicholas’ article was originally published in Sussex Life magazine in September 2011.